A tiny show guiding you through the rocky landscape of museums. Museum Archipelago believes that no museum is an island and that museums are not neutral. Taking a broad definition of museums, host Ian Elsner brings you to different museum spaces around the world, diving into institutional problems, and introducing you to the people working to fix them. Each episode is never longer than 15 minutes, so let’s get started. This month on Museum Archipelago, we’re taking you to Tasmania. Over the course of three episodes, we’re conducting a survey of museums on the island, and exploring how each of them relates to the wider landscape of museums. Subscribe to the podcast via Apple Podcasts, Google Podcasts, Overcast, or Spotify to never miss an episode. If you like episodes like this one, you’ll love Club Archipelago. 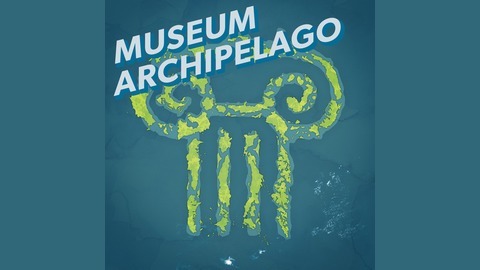 Join Club Archipelago today to help me continue making podcasts about museums (and get some fun benefits)! Museums on the Australian island of Tasmania are a microcosm of museums all around the world. They struggle with properly interpreting their colonial past, the exclusion of First People from telling their stories in major museums, and having a large, privately owned art museum reshape a small town. This month on Museum Archipelago, we’re taking you to Tasmania. Over the course of three episodes, we’re conducting a survey of museums on the island, and exploring how each of them relates to the wider landscape of museums. Today, we visit Tiagarra Cultural Centre and Museum in Davenport, Tasmania, Australia. The museum is situated on Mersey Bluff, a traditional Aboriginal sacred site, that now hosts a nature trail and a caravan park. The museum was built in 1976 to promote Aboriginal culture and cultural tourism. But the displays were put together by non-indigenous citizens and scientists. David Gough, of the local Devonport/Latrobe Aboriginal community, remembers visiting the museum when he was younger and seeing offensive words on the plaques and on the walls. David Gough: When we were younger and looking at this stuff and thinking, wow, you know, there's words…. really inappropriate words. Talk about about us as no longer a race of people. People have been writing my family and our stories and writing in a way that suited them. They wrote us as savages and nomadic and all these things. They wrote things like we didn't how to make fire, that we were really limited people. But we lived through two ice ages. Today, Gough is the chairperson of the Six Rivers Aboriginal Corporation and the manager of Tiagarra. One of the first things he did as manager was put masking tape over those words. David Gough: As soon I got the keys to the door back, I put masking tape over words, this sticky tape there… I put masking tape over really inappropriate words. I’ve written over them like, “beautiful people,” rather than some of the words that were under those and said now we can put ourselves in here, rather than… this place told stories… left us as we don’t exist anymore, because we don’t have our stories in here. Offensive racial language covered up and written over by the very people it describes is the perfect metaphor for what Tiagarra was in the past and what it is going to be in the future. David Gough: Hello, my name is Dave Mangenner Gough. Tiagarra Cultural Centre and Museum Davenport, Tasmania. Tiagarra is an Aboriginal name that means “to keep”. This site is a significant site. Where the caravan park is, just there, was where there was huts and a village. Aboriginal Tasmanians lived in Tasmania for at least 60,000 years: often completely isolated from mainland Australia by rising sea levels. European colonization of the island, and a violent guerrilla war between British colonists and Aboriginal Tasmanians from the mid-1820s to 1832 known as the Tasmanian War, was devastating to Aboriginal Tasmanians. For much of the 20th century, including when TIAGARRA was constructed, the Tasmanian Aboriginal people were widely, and erroneously, thought of as being an extinct cultural and ethnic group. David Gough: There was a roundup of our people and a mass attempted genocide of our people. The impacts of colonization and displacement has meant our families had to chop wood in order to survive and cultures changed and shifted. Growing up in schools, some of the kids go, "Aboriginal, what does that mean?” They don't really grow up knowing a lot about what their ancestors did or what happened to their families because it’s been pretty… well especially here, our families went through great trauma, and that still affects us, so we’re seeing young kids growing up, and there’s just this traumatic patterns that happen. Through a series of careful museum upgrades, teaching Aboriginal cultural to as wide an audience as possible, and activism, Gough plans to change this. David Gough: It's important for, for our own families, it's important for the the other kids in the areas as well. Then I think that that's why I go to the schools is to help work with our kids, but also the other kids. And then it builds this mutual respect and an understanding about who we all are. And I think understanding where our past, we'll give them hopefully a way forwards. Gough took me through the museum as it is today. Except for the masking tape and some ochre handprints, the museum looks almost exactly as it did in 1976. We enter through the front door -- a fake cave that opens to a description of the land bridges across the Bass Strait, which today separates Tasmania from the rest of Australia. David Gough: Yes. We enter with a cave. We actually have some money to make some changes to this session, but we're very mindful that now this place is a time capsule and it's actually becoming a museum of museums. So I'm, I'm really cautious about making changes to it, but there will be some changes. David Gough: This panel here talks about 12,000 years apart, two ice ages where we were connected to Australia and how that allowed what people would say migration and people and animals. We know this actually came up close to here and this is a great lake. People lived around this lake; it wasn't just people walking backwards and forwards. And we've got a lot of aboriginal heritage sites in rock shelters are underneath. David Gough: When I bring kids through here and spend an hour with them or talk about living sites. We used caves as living sites and we have several different caves in our country that are, some are living in caves and some are ceremonial caves and the ceremonial caves, we try to keep quiet from most of the public because they get vandalized. David Gough: I have visited a lot of our sites cause I was on the Aboriginal Heritage Council for quite a few years and I’ve been very heavily involved in protecting our heritage around the country. What happens is when someone comes across in damages something that we're saying, oh, they didn't realize what it was. So then it would get thrown back at you saying, well, if I had of known, I wouldn't have done that. That's why I went on the council already focused on changing that act, about protecting our heritage to take out that the ignorance clause and to put some due diligence around process so people understand so if they're going to dig somewhere or they're going to do something in an area they need to contact heritage and find out if there's if there is something there that they would damage. The gallery continues through detailed dioramas. Gough says visitors, specifically school groups of children that come through, are fascinated by them. But he says that without proper interpretation -- without stories being told in the voice of Aboriginal Tasmanians -- the dioramas’ true meaning is lost and the lasting impact is lessened. David Gough: What we keep in here is stone tools and artifacts and there's dioramas about how are our people live through two ice ages. It's very important as an education tool but without us being here, it's kind of pointless. David Gough: And this over here talks about what they call middens, which I don't like the word meetings. And a lot of us is as we growing up were, were cause I think it might be a Latin name for rubbish, you know, um, and it's because that's what they saw it as. David Gough: But people drive up and with four wheel-drives and, and are destroying them. And we constantly trying to make, get protection. We're trying to get world heritage listing of these areas because some of these are about four times as high as this building. So when you're standing there and you're looking at abalone shells on, on that and you see the hight, you know, that they were feeding, eating, people, eating, that's how old these places are. Many thousands of years old. And right there we have rock Petroglyphs, rock markings in those areas too, which are probably five times older than the Sphinx. David Gough: There's a lot of ceremony that happens around these, these living sites. Babies are born and the elders have passed away and they're buried there or cremated there as well. So for us, these not rubbish tips, they’re hospital, the church there, everything, there are graves there, everything, and our family members have had to go up to where they've four wheel drives and rebury people. So in other exposing people's remains. It's really, really sad when you're up there and you're trying to stop people that they're now saying it's their culture to four wheel drive on these areas. Gough sees the public education as crucial not only to protect the sites, but also protect the stories. David Gough: So this place going through this with kids and that and getting to understand, maybe change some concepts and understanding about what's around them and what a landscape actually means. When you see something like this, you can turn around to someone else and say, do you know what this is? Then you become the educator and then you can pass on that, the reasons about why you would look after it, because once it's removed, the story can go. The museum is currently closed -- only open for pre-arranged tours consisting mostly of schoolkids and the occasional podcaster. Even the ownership of the museum has been contentious up until recently -- the Devonport City Council rescinded the lease from the Six Rivers Aboriginal Corporation in 2014 and did not hand back the keys until 2015. Sammy Howard, fellow board member of the Six Rivers Aboriginal Corporation, explains that the museum has been hampered by red tape every step of the way. Sammy Howard: Really, as Tiagarra, we’ve struggled for years to try and keep the doors open. It's the only museum keeping place in Australia that’s not federally or state funded. I'm just sick to this of watching air governments set us up for failure. They didn't give us the training and the things that we needed. I’m starting to think that we've become a collection of hoop jumpers. Because every time we get through one hope, there's another one put in front of us, hurdle jumpers, whatever. They just seem to, we'll let you go this far, but hang on a minute. You can't go too far. You can't succeed. The white governments have got to be seen as with falling bulk amount of money at this and it's not working. David Gough: When you’re trying to deal with these things, what people kept trying to talk about in meetings was Return on Investment. And it's a difficult space when you're talking about sharing and your culture and having a place for your community to be. This place means a lot to our families in this area. But both Howard and Gough are optimistic about the future of Tiagarra. The Corporation hopes to bring some higher-tech exhibits like touch screens into the museum and build the resources to maintain opening hours with staff and guides from the community, all while centering their own story. A number of factors contribute to their optimism. The museum can now apply for specific funding sources. From other Tasmanians, there is an increased interest in understanding the land and its people, and a greater understanding of British colonization of the island. David Gough: We've sort of feeling that this is our year where we will get this place open again. You know, more than just bringing school groups through. With this business plan, what we're doing is to get out to spend some, some of this money and upgrade some of the exhibits in here and put ourselves and our stories into this space. This is really important. That could be an option of having a self guided tour with people walking around it here. And as they come to different sections getting told that story is that where we're wanting to tell. But everything costs money. And it is not just upgrading the museum. All over Australia, and indeed all over the world, the practices of welcome to country and acknowledgement of country are slowly becoming more common as a way to open events, school assemblies, and conferences. David Gough: There’s a difference: there's an acknowledgement to country and they can be done by anyone. It is to acknowledge the land and the traditional people of the land. And that can be done by anyone. And it should be done by people to say. Before you do a speech or a forum or a function is firstly to say, I'd like to acknowledge the traditional owners of this land. If you know, the name of them is to mention the name of them and to say that, you know, to acknowledge the land we made on is is their land and you know, those sort of things. David Gough: Welcome to country is done by someone who is from that country. It's basically welcoming people onto our land and for people to understand where they are. And I feel it's very positive and people get to understand, I learned a bit about who we are or what land they're on and learn a bit about the traditional people and custodianship or other than ownership. Gough describes visiting Native American nations in the US state of Arizona and realizing that the challenge that members of First Nations face all around the world -- including developing museums that simultaneously serve their own people and the wider public, are similar. And so a are some of the solutions. David Gough: So I do believe they're doing that and more I can see that with my friends and Arizona that there's some acknowledgements coming up around the universities are where they see it. Yeah. And that's, um, that's, that's a great thing. David Gough: You know. So when we're doing things here, I'm getting things in support from my friends on the other side of the world that have been going through similar things. So it was a conversation on there [Facebook] last week, which was around acknowledgements. Those people know what we do is, so I was able to comment on that and then people backwards and forwards. So there is some support in that, which is really, really positive. Hi, it’s Ian again. Since you’ve listened all the way to the end, I’m going to go out on a limb and say you’re a fan of Museum Archipelago. Join other fans by subscribing to Club Archipelago. It’s a not-so-secret club that gives you access to special bonus features like longer versions of some of my interviews, my take on the museum industry, and insider tours of museums around the world, all with the same humor and quality you’ve come to expect from Museum Archipelago. 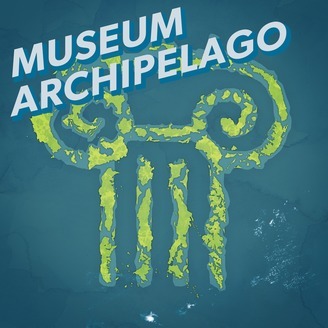 Join today for $2 a month at Pateron.com/museumarchipelago, and get Museum Archipelago Logo stickers mailed straight to your door. That’s pateron.com/museumarchiepalgo. This has been Museum Archipelago.